Picture yourself on a boat in a river with tangerine trees and marmalade skies. 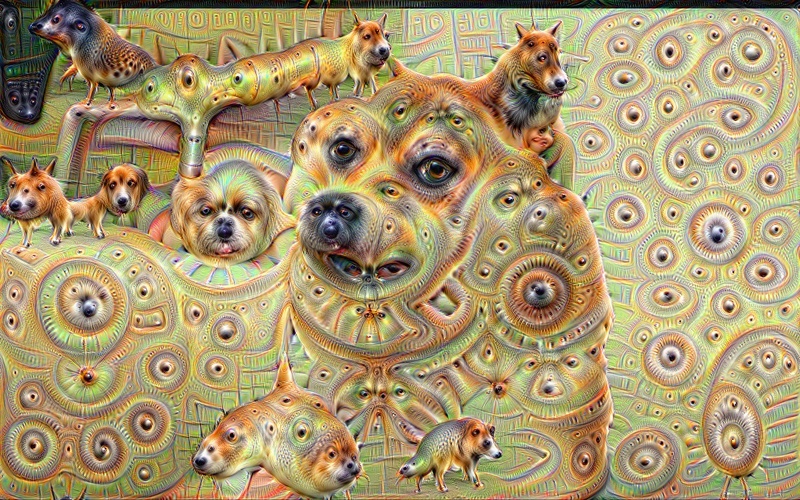 Throw in a dog that looks like a slug and you get Google’s artificial neural network “Deep Dream”. 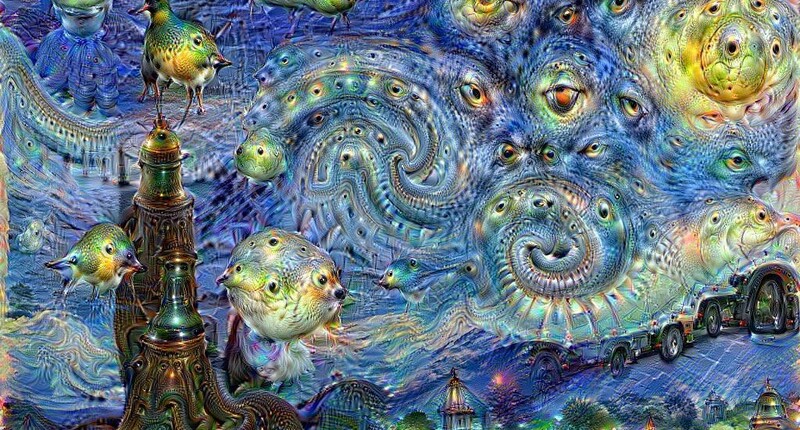 Two weeks ago, Google’s research team featured in their blog a visualization tool designed to understand how neural networks work and how to replicate them artificially. 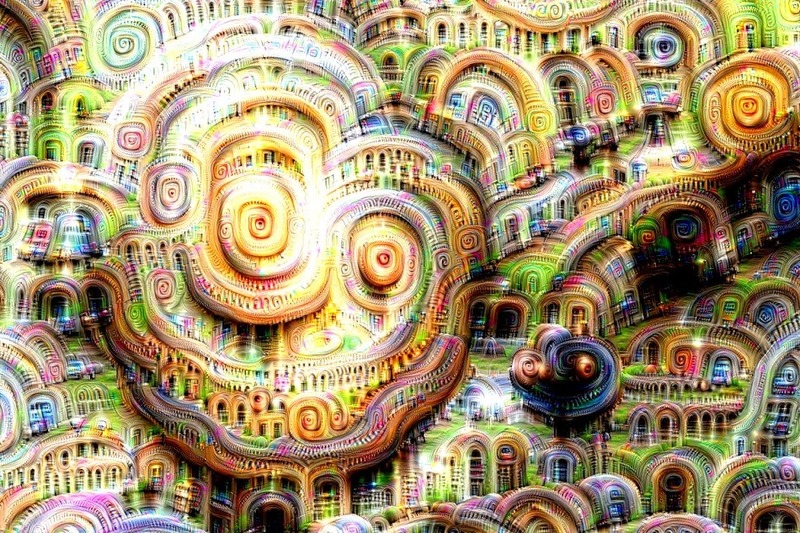 Artificial neural networks are learning models essential in machine learning. 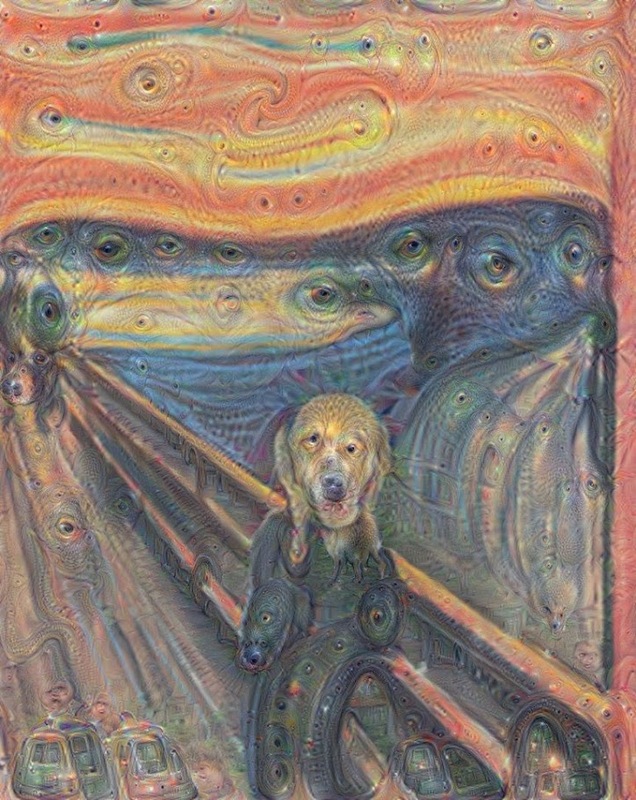 Derived from biological central nervous systems, they are used in image classification and speech recognition by feeding them large amount of input data to “train” them. 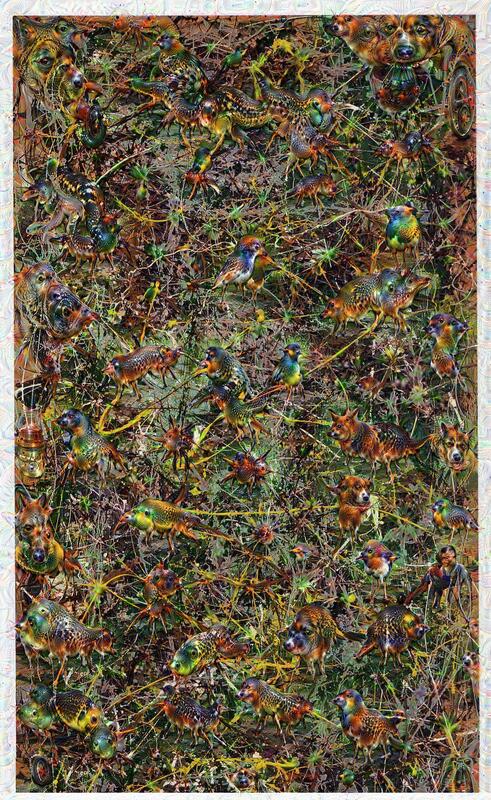 In the past, classifying images into categories was nearly impossible but advances in cognitive science made it possible for machines to distinguish images with a high degree of accuracy. Say you want train a machine how a dog looks like. 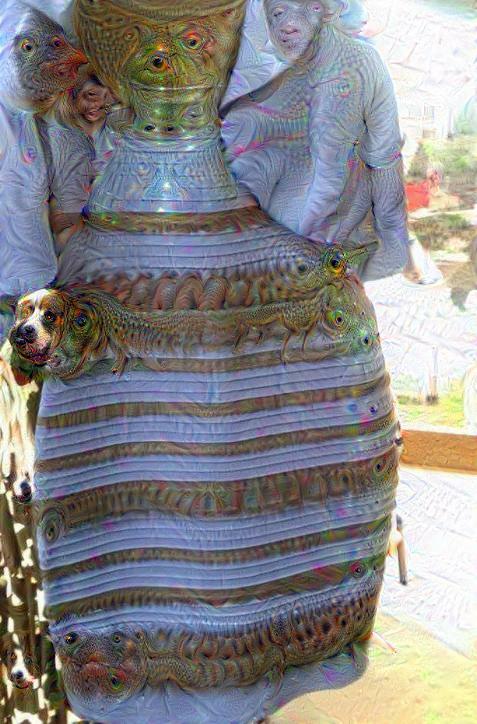 By feeding it dog images, larger quantity for higher accuracy, it could be trained to spot dogs in images, tell if there aren’t any, or say it is unsure. But what do these machine see? 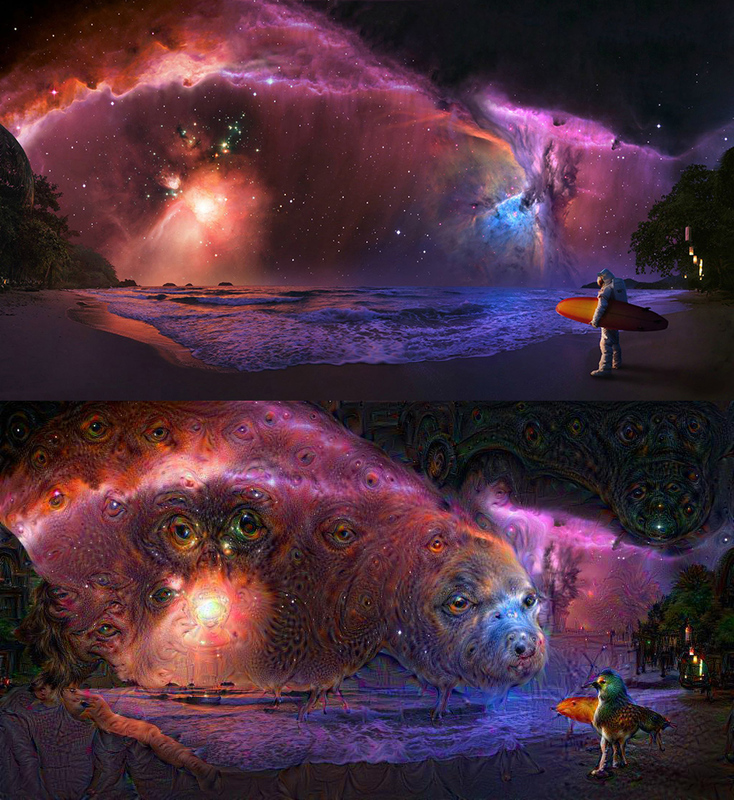 A psychedelic trip apparently. 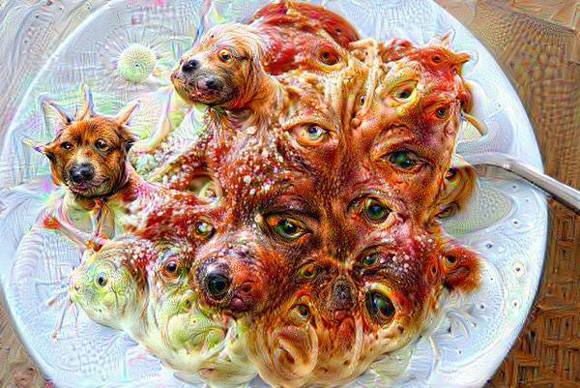 The Google Research team found out that feeding the algorithm iteratively with its own output yielded interesting results. Why are there a lot of animals? 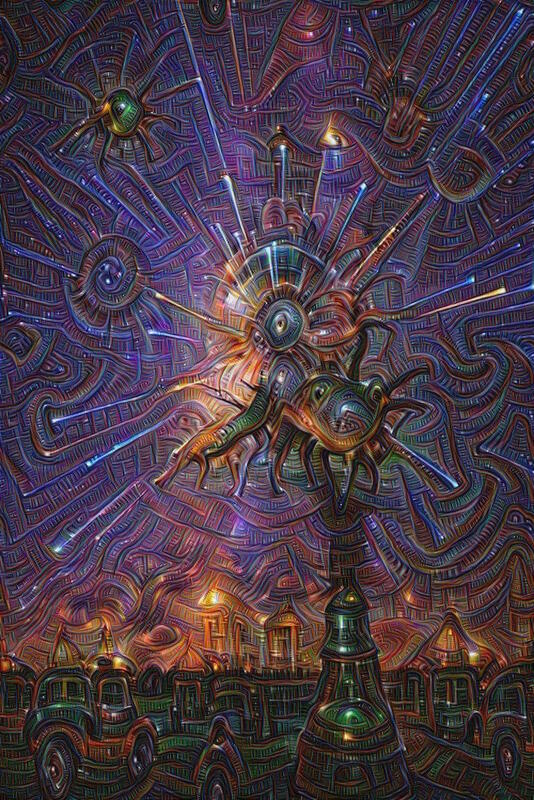 According to Google’s Research team, this particular algorithm was trained with a large number of animal images and naturally, it is likely to interpret shapes as animals. 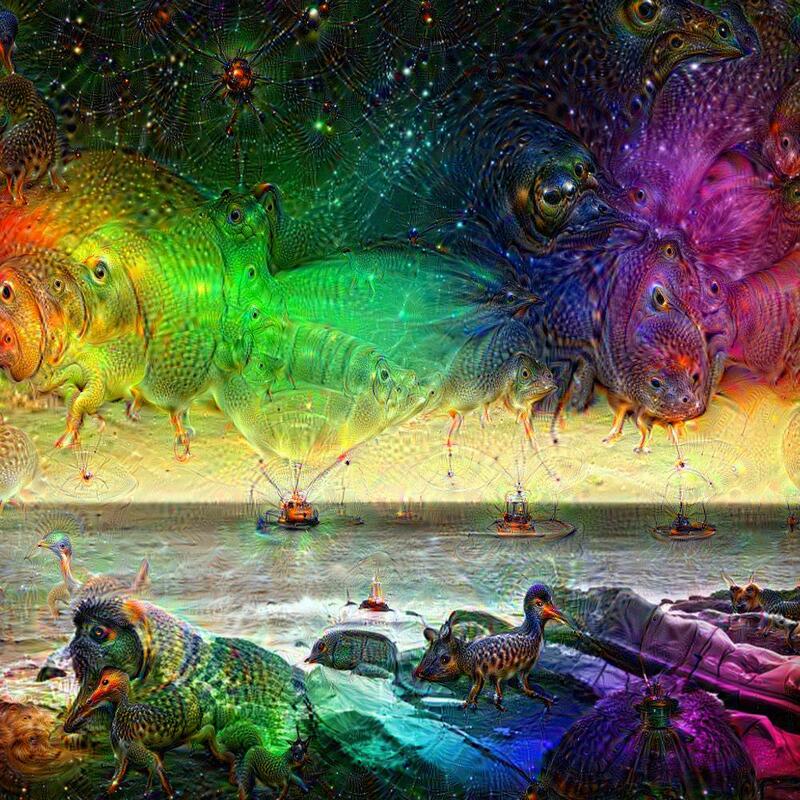 The data is stored in high abstraction which results to the creation of hybrid animals. 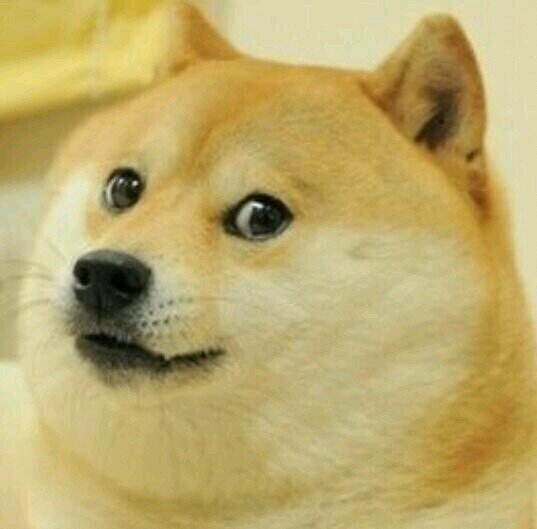 So it’s not really limited to dogs but rather to data sets fed to the code. Here’s a video of someone using MIT’s Places CNN. So how do you make your own? 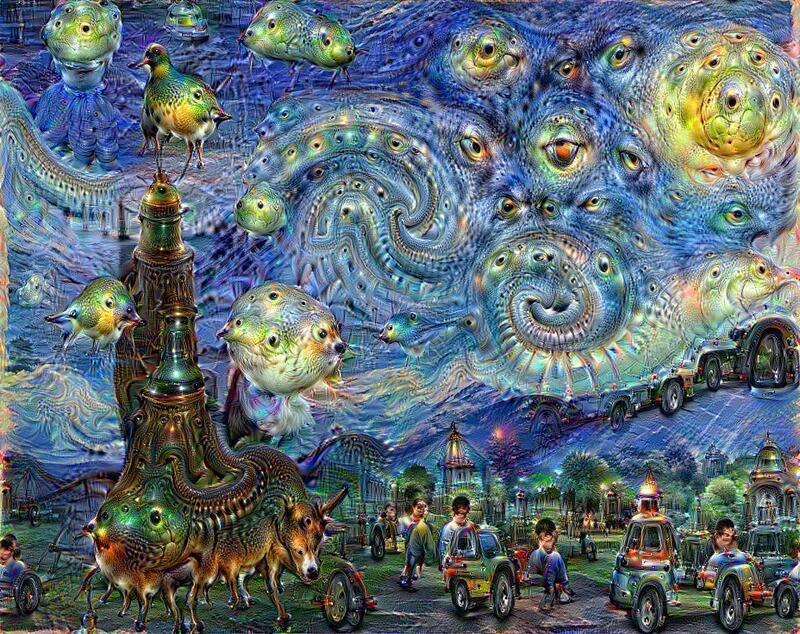 Google’s Research team made their visualization code public after gaining a great amount of interest from programmers and artists alike. Check out their GitHub post here. The code can be applied on both static images and videos. Check out this video that uses the code iteratively. 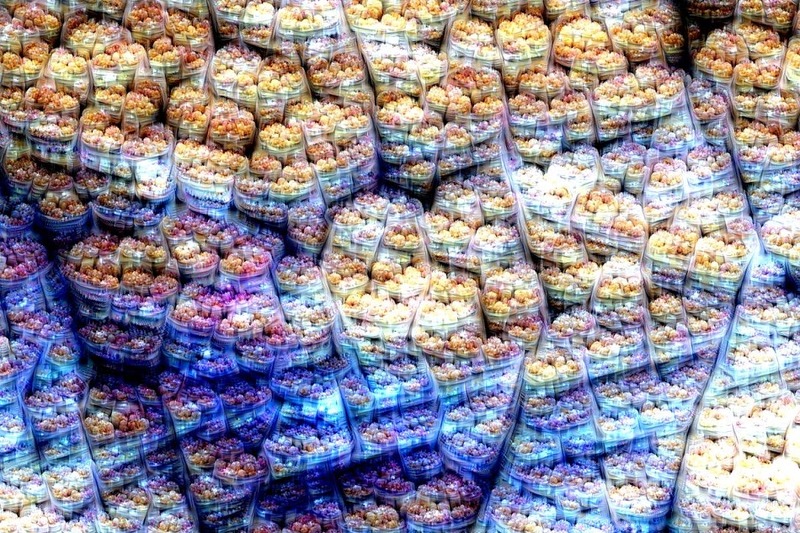 Each frame is recursively fed back to the network starting with a frame of random noise. Every 100 frames (4 seconds) the next layer is targeted until the lowest layer is reached. No worries if you are not programming-savvy. 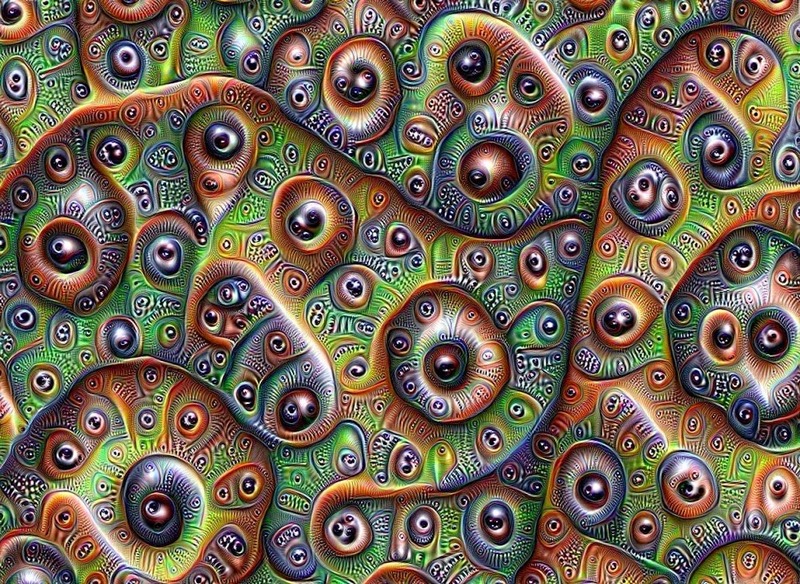 You can submit your images at http://psychic-vr-lab.com/deepdream/ or http://deepdream.pictures/static/ which use the same code to generate these trippy images. 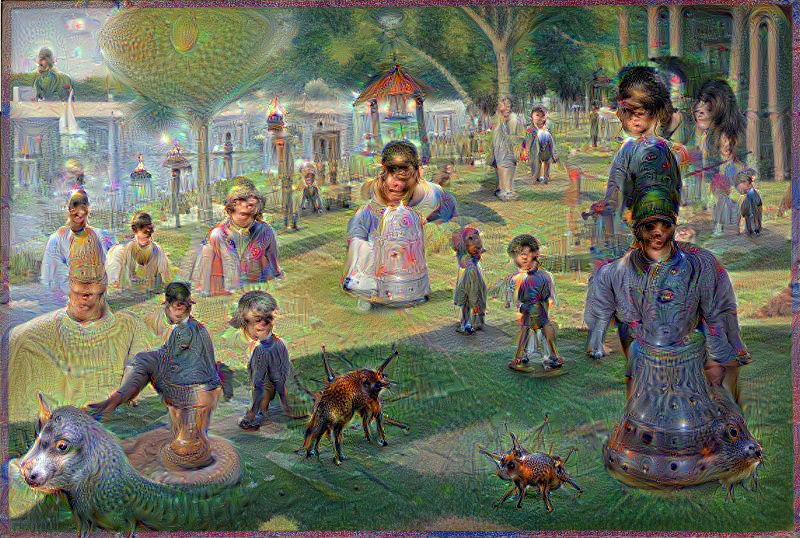 Do you have Deep Dream images you generated? Post them in the comments below!